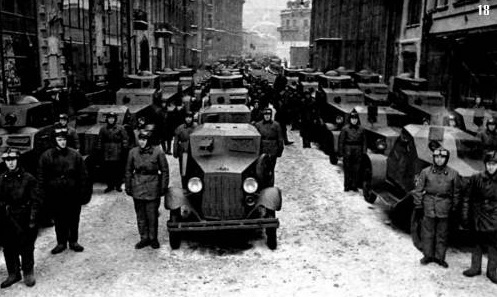 The USSR was more than interested in armored cars, due to their generally well-met performance in the Russian Civil War. 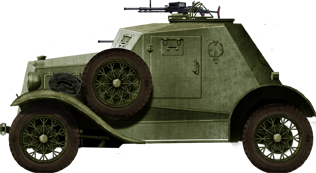 By 1930, they wanted more modern versions of these vehicles in order to replace the BA-27, which was the first native armored car put into production in 1928. The new design was intended to be a light reconnaissance vehicle, and shortly after designing the D-8, the D-12 was also ordered. The D-12 was probably better suited to infantry support and AA duties. The vehicles themselves looked hardly promising as a result of their all around sub-standard armor, maneuverability, and especially the poor off-road capabilities. Around about this time, many Soviet native vehicle projects were being terminated as a result of access to American vehicles; an example of this is the development of the T-12/T-24 tank being replaced due to the appearance of the Christie suspension, which led to the BT series. So, once the Soviets got hold of Ford truck licenses, D-8 and D-12 production was cancelled, and other armored car projects were started. Initial efforts to build armored cars en masse started as early as 1918, but because the automobile industry in Russia was so badly damaged by the Civil War, it took years to rebuild sufficient infrastructure and train new engineers, which in fact took until the late 1920s. 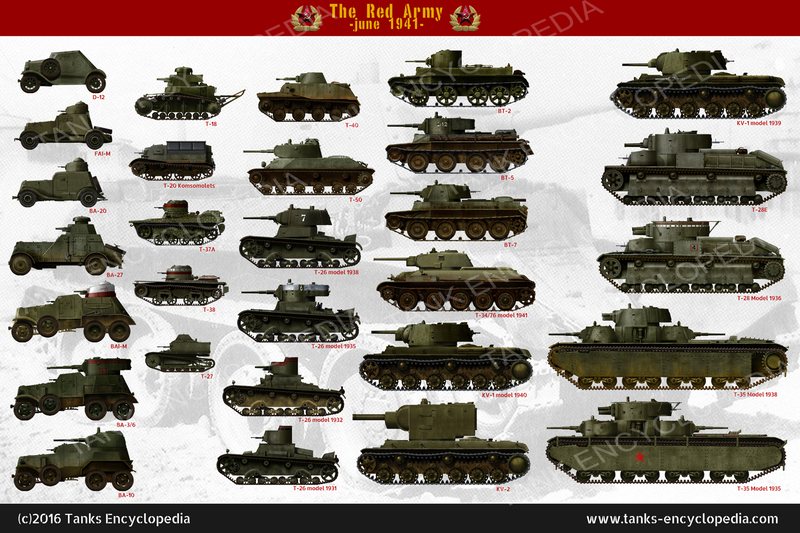 For the Red Army, there were only two types of armored car: light and heavy, distinguished by armament, not weight. 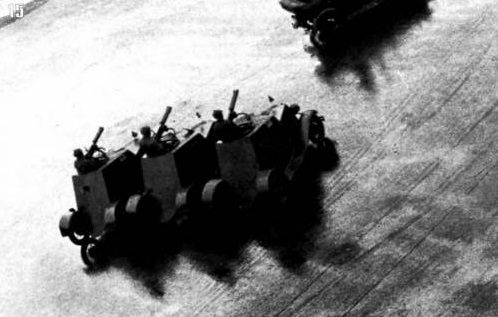 Light armored cars had machine guns, whereas heavy armored cars featured 37 mm (1.46 in) or 45 mm (1.77 in) tank guns. 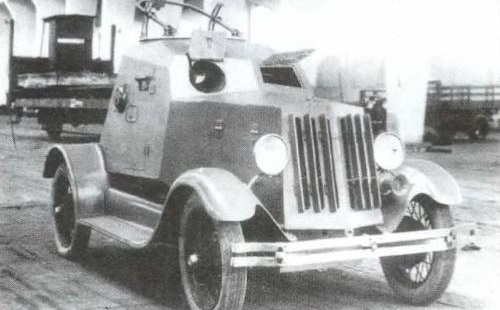 Most Soviet armored cars were based on truck chassis, but not in this case. 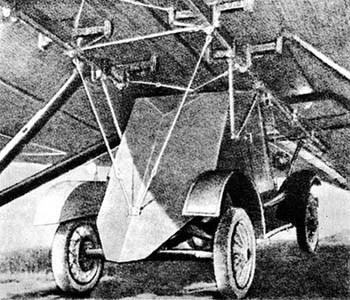 As a result of Ford exporting some Model A cars to the USSR, which provided a necessary boost to the Soviet automobile industry, there were experiments with this chassis. The chassis was produced at the KIM plant in Moscow and the Gorkiy Plant in Nizhny Novgorod Automobile plant (later renamed Gorkiy Automobile Plant “GAZ” in the mid-30s). At the Izhora Factory in Kolpino, the Ford Model A and the Soviet copy, the GAZ A, had armored hulls placed on them. When Henry Ford finally gave the USSR series production technology, in 1931-1932, the Soviet automobile industry flourished. In 1931, the D-8 was designed by N.I. Dyrenkov. It was rather light for an armored car and featured no turret. Dyrenkov decided not to include a turret so as to reduce the profile of the vehicle, and make it more stealthy. There were two machine guns on the hull sides and one at the rear, which did not give full coverage. However, a fourth port was added next to the driver at the front, as suggested by Kliment Voroshilov. The crew would have to sit back to back, so that there was space to operate an MG in the rear. The armor was 5-7 mm (0.2-0.24 in) thick – this was exceptionally poor and would only protect the crew from small arms fire. Any higher caliber machine gun or early AT rifle would have punched straight through. It did manage to reach speeds of 80 km/h, but with poor off-road capabilities, this was an irrelevant accomplishment, because the USSR had substantially more off-road terrain than on-road compared to most other countries. Surprisingly, it was the weight of the armor which gave it poor off-road capabilities. D-8s just before a parade in May, 1934 in the Red Square. Between 1932 and 1934, 20 vehicles were produced at the Izhora factory in Leningrad. At some point during production, a small turret was added to the design, featuring a ball-mounted DT machine gun. 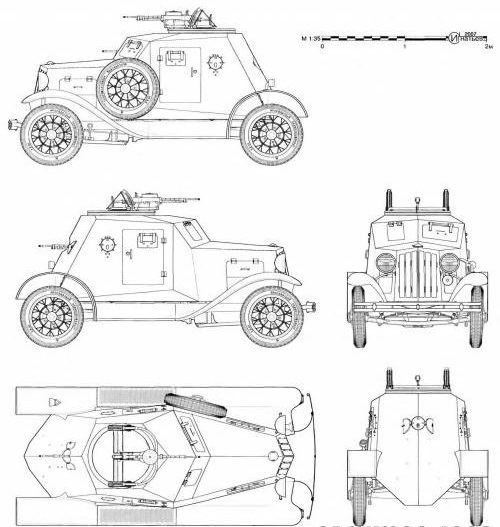 This directly influenced the characteristics of the FAI armored car. The D-12 was in production alongside the D-8. The fighting compartment was open-topped, with an AA gun mount – with a 7.62 mm (0.3 in) PM-1910 AA gun, or a simple open-top with a Maxim gun or a DT machine gun; also, the hull shape was changed slightly. 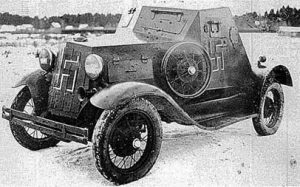 Some sources suggest that the D-12 did not have the rear DT machine gun, but the prototype in 1931 did, and other photographs seem to show a mixture of some with and some without. The D-12 was heavier as a result of its longer wheel base and turret structure. It fared equally bad due to the same poor speed and minimal off-road capabilities. Despite this, it was accepted into service and it was built in Moscow in unknown but small numbers in 1932, after a prototype in February, 1931. It was usually seen on May 1st parades, and some were in service until 1941. A very small number participated in the victory parade in Mongolia in 1945. The exact number of D-12s produced is hard to verify, but it seems to be roughly 25. The D-12 was replaced by the FAI in 1932. The D-8 saw minimal combat, and reports on its combat are scarce. The main intention for this armored car was reconnaissance, communications and use as a mobile outpost – due to poor off-road capabilities, this was not a realistic goal for this vehicle. It is clear that they were not, as some sources claim, exported to the Republican forces during the Spanish Civil War. At least one D-8 was captured by the Finnish Army during the Winter War and served until 1943. One report suggests that it was used only as a messenger’s vehicle, whilst another suggests that it was used for training. Both are equally plausible. It appears that there were also some plans to deploy the D-8 using a TB-3 bomber plane, much like other light tanks / tankettes during the early 1930s. There is scarce information and a photograph to suggest that at least one D-8 was deployed via TB-3 bomber during parachute drills near the Dnieper and Kiev, 1935. There appears to be no information available on the D-12 in combat. A rare photo of the D-8. This one has been captured by the Finnish, and has probably had its armaments removed. A rare photo of a D-8 in Soviet service. Another view of the captured Finnish D-8 with a BA-10 next to it. Some D-12s on parade in Mongolia, autumn, 1945. Several D-12s armed with Maxim guns on a May 1st parade, Leningrad, 1933. Notice how the one on the left has a rear DT machine gun. A front view of the prototype D-12. The rear of a D-8 strapped to a TB-3 bomber during parachute drills at the Dnieper, near Kiev, circa 1935. A technical drawing of the D-8. 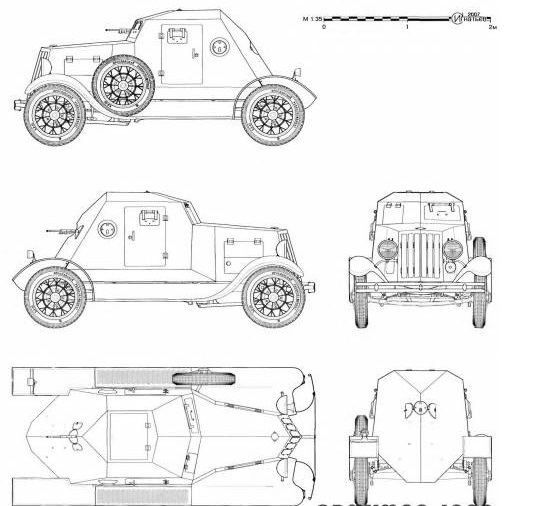 A technical drawing of the D-12 with an aircraft-style gunner pod and 7.62 mm (0.3 in) PM-1910 AA gun.